2nd September 2015 – Concurrent Technologies announces their first processor board based on the Intel® Xeon® processor E3 v5 family (previously known as Skylake-H). TR E5x/msd is a 3U VPX™ board featuring the quad core Intel® Xeon® E3-1505M v5 processor with up to 16GB of DDR4 ECC DRAM and a rich assortment of I/O interfaces. 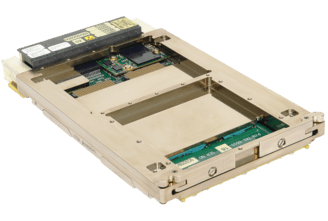 These features mean that TR E5x/msd is particularly suited to multi-processor command, control, communicate and compute applications in the military, aerospace and transportation markets. In addition, this is the first board available from Concurrent Technologies to be fully compliant with the recently ratified VITA 46.11 standard, designed to enable uniform system management functions across VPX based equipment. 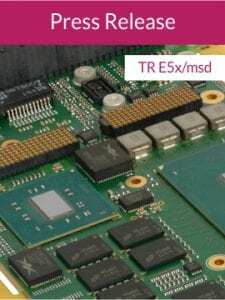 TR E5x/msd provides enhanced processing and graphics performance within the same Size, Weight and Power (SWaP) envelope compared to the successful TR B1x/msd board. By supporting a wider range of backplane profiles based on a PCI Express® (PCIe®) data plane fabric and optional PCIe expansion plane, TR E5x/msd makes it easier to configure solutions made up of multiple processor boards or combinations of processor, FPGA and GPU boards. In addition, the optional Fabric Interconnect Networking Software (FIN-S) makes use of the on board non-transparent bridge and DMA capability to aid multiple processor node clustering applications. 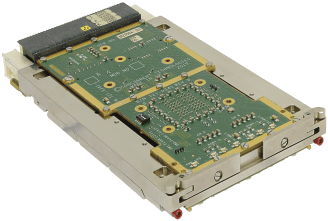 An XMC expansion slot enables customers to add application specific I/O with up to 24 single-ended and 20 differential pairs tracked through to the backplane for rugged deployments. 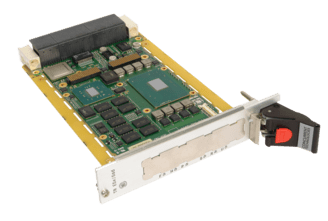 For air-cooled environments an XMC module with front I/O can be used or, Concurrent Technologies offers a convenient front panel module with connectors for Gigabit Ethernet, DisplayPort, USB 3.0 and up to 3 x RS232 serial ports.